What The Heck Is That Veggie in My Farm Share? What The Heck Is That Veggie in My Farm Share? What The Heck Is That Veggie in My Farm Share? Home » Articles » What The Heck Is That Veggie in My Farm Share? When I first got a farm share several years ago, I had a dream of a bounty of tomatoes, carrots, and other recognizable vegetables. The reality was that yes, these vegetables were there, but there were also oddball veggies I’d never heard of or seen before; and suddenly I had to find a way to use them. Kind of like a subscription service, farm shares are when a person buys a “share” of a farm and receives weekly boxes of the harvest. Some farm shares are pick-your-own, others get delivered to your home, some you have to go to the farm and pick up the bounty. Prices and what is included differ by farm. For more information, check out Community Involved in Sustaining Agriculture (CISA) at farmfresh.org. Here are some thoughts to get you through when the share gives you more than you can handle. 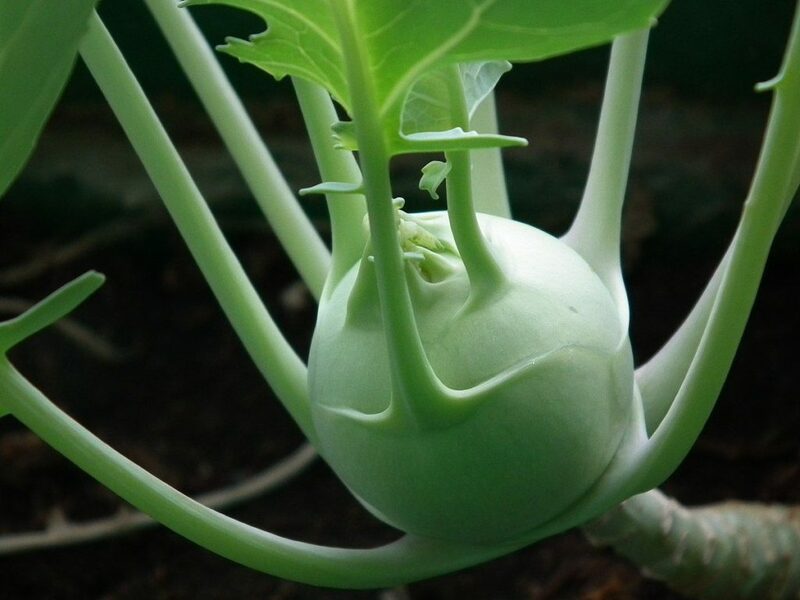 Kohlrabi: This is the archetypical alien-like veggie that keeps many people away from farm shares. I haven’t yet tangled with this beast and won yet, but I keep seeing recipes online for slaw that I want to try. It seems to me the best way to approach these hostile creatures is hacking them to bits. Garlic scapes: This was the first year I really got down with garlic scapes. They add a mild garlic flavor to eggs, and they work as a good substitute for scallions in many recipes. Beets: Earlier this season, we used our beets to make a salad with kale, snap peas, avocado, and sunflower seeds — using a lot of citrus in the dressing helps to cut the kale’s innate bitterness. If you want to store some for later, beets are great to pickle. Bok Choy: Often delivered in baby bok choy variety, these dense greens hold a ton of water, which can sometimes dilute the rest of the dish you’re making. Fried up in an Asian-style stir fry is a good way to use a bunch at once, and I seem to remember making a pretty good spaghetti sauce with chopped bok. Swiss Chard: It is colorful, yes. I will give it that. But these greens taste a bit … unusual. Sort of in the same way Swiss cheese has that umami flavor (how do the Swiss do it?). One recipe I got from the copy of the Recipes From The Herbalist’s Kitchen by Brittany Wood Nickerson I just got to review is “Greens with Garlic, Ginger, and Turmeric.” It actually works well with Swiss chard, though the recipe calls for collard and mustard greens. Butter, coconut oil, salt, pepper, garlic, ginger, and turmeric mixed with these babies on medium low. Fennel: I had a bad experience with a fennel-flavored muffin in Mexico once, and never really got over it. But it’s probably time to try this flavorful veg again. Maybe go full-on millennial and use this recipe I just found for avocado toast with citrus supremes and slivered fennel. Rutabaga: This large, difficult-to-spell cross between a turnip and a cabbage looks great on the outside — a nice white a purple motif — but its taste is bitter and there is JUST. SO. MUCH OF IT. Add it to a root stew to ruin the meal’s flavor, or chop it up to make a bitter slaw. A former roommate of mine did her best to make a fermented kimchi-style dish out of it, with predictably lackluster results. So what to do with these big, dumb cousins of turnips and radishes? They aren’t quite big enough to be tenpin bowling balls, but I bet they would work well for candlepin.